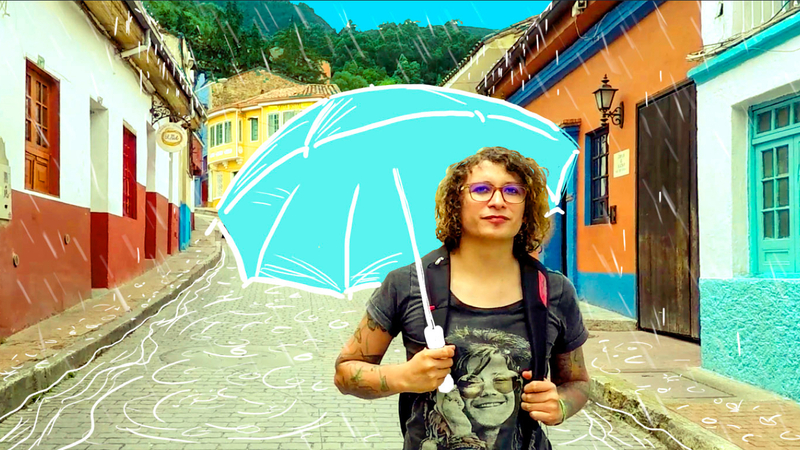 How does it feel to be a transgender woman in South America? IN SOUTH AMERICA, TRANSGENDER WOMEN ARE MURDERED AND DEPRIVED OF THEIR RIGHTS AS CITIZENS EVERY SINGLE DAY. BUT A GROWING NUMBER OF THEM ARE TURNING TO EDUCATION AS A FUNDAMENTAL WAY TO TRIGGER CHANGE. THEY ARE KNOCKING DOWN PREJUDICE, ALTERING THEIR COMMUNITIES, AND MAKING THIS MISSION POSSIBLE. THIS IS A CLOSER LOOK AT THEIR STORIES. ”Here I am, the dangerous teacher, the transgender educator who learned to dodge the bullets of hate with the deep footprints of pride and love. Despite their teaching expertise and love for education, they are still seen as dangerous and as negative role models for students and society. But each time a trans female educator steps inside a classroom, her bodily presence teaches. It’s an extracurricular activity on gender identity, on how to overcome prejudice and get over hurdles. They don’t work only in schools; they also instruct outside of them. As informal educators, they teach trans men and women how to empower themselves in a tough, biased world. They also transform their communities. “I feel like the role of being educators and social pedagogues was socially designed for us to change society’s vision on what it believes to be gender identity, sexuality, femininity, and masculinity,” says Colombian Daniela Salamanca Maldonado. ”Nobody expects a transvestite to be a teacher. Let's say that I love encouraging my students' curiosity. Then, I arrived with high heels, made up, super drag and everyone was like: "What is this?" ”It’s really crazy, but we dream about a house, a job, about studying as if it were not the reality of many people. It’s very sad that the dreams of the trans people are the rights and realities of other people. ”What I try to teach my students is that being different is cool, being different is part of the diversity that we have today in Brazil, and if we were all the same, it would be very boring, we would be like robots with the same clothes, with the same hair. ”I always ask my students: “Who sees oneself as a man or as a woman?” “I always saw myself as a boy ... I always saw myself as a girl,” they say. So why did I decide to become a woman? The perception I bring to my students is just that — it’s beyond our choosing. ”Many times I asked myself: “Is it okay what I'm doing?” And when you ask yourself that question, it is something magical. After 2 minutes, you get a message and they ask you something. Then I realize that it's good what I'm doing, above all.